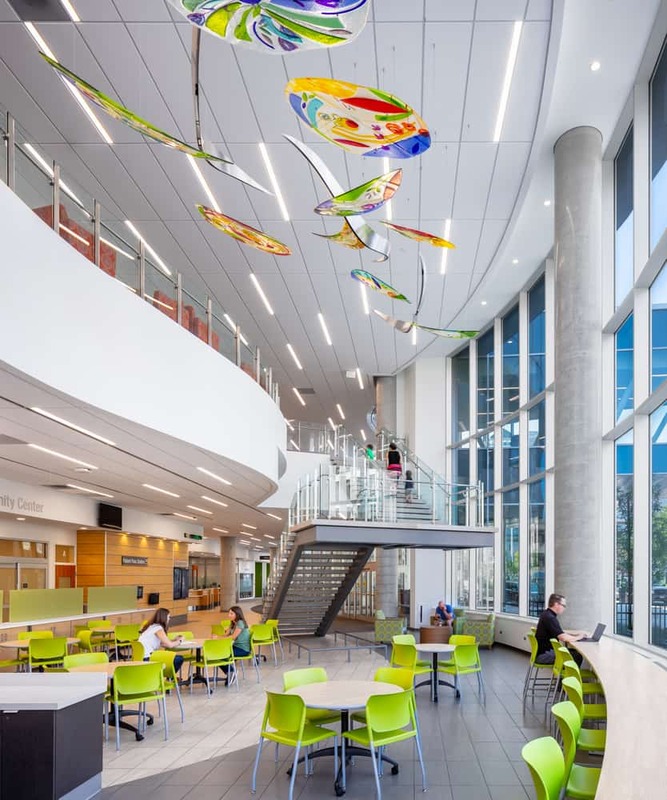 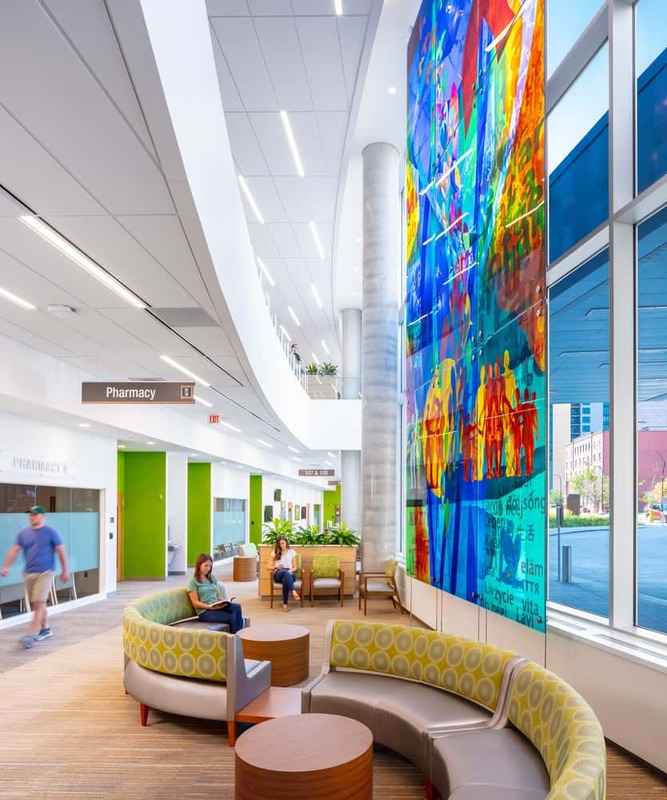 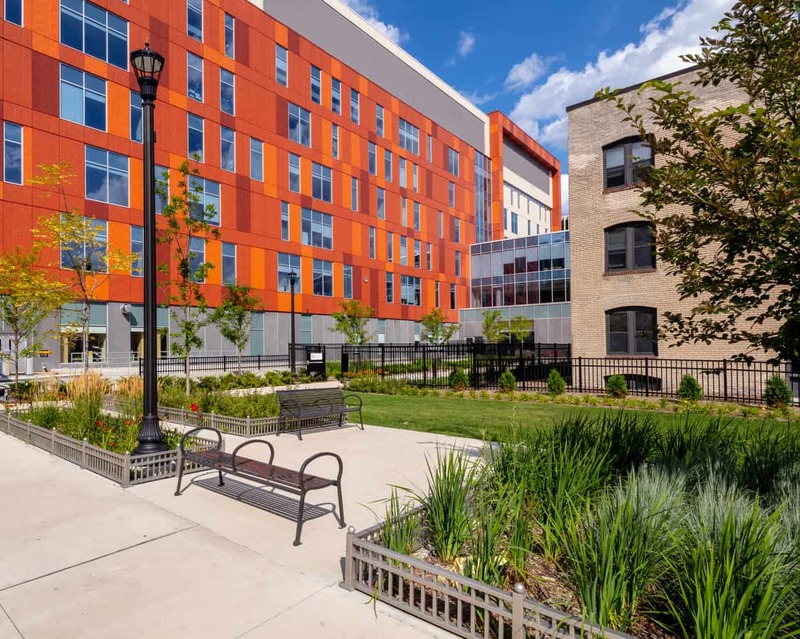 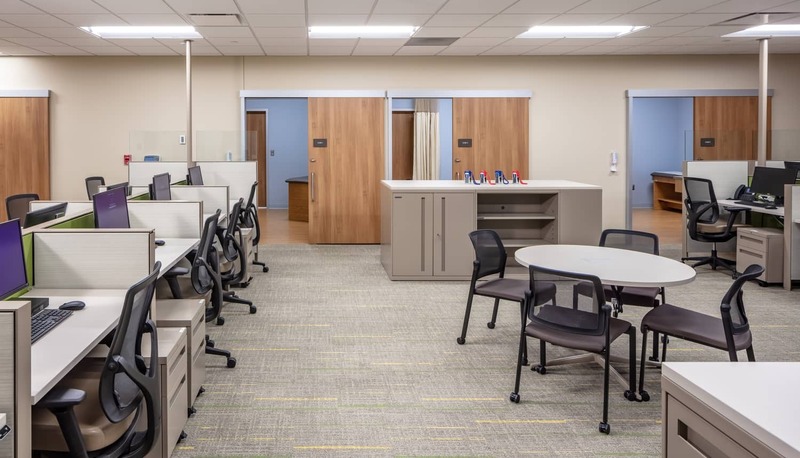 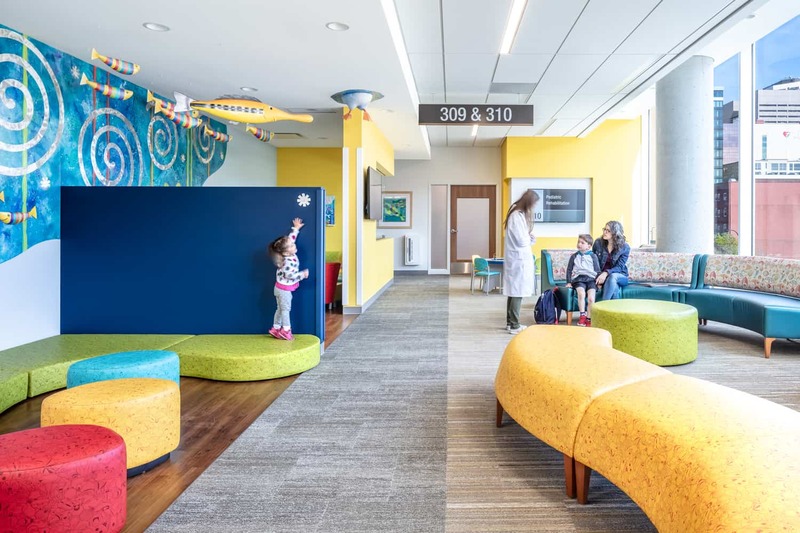 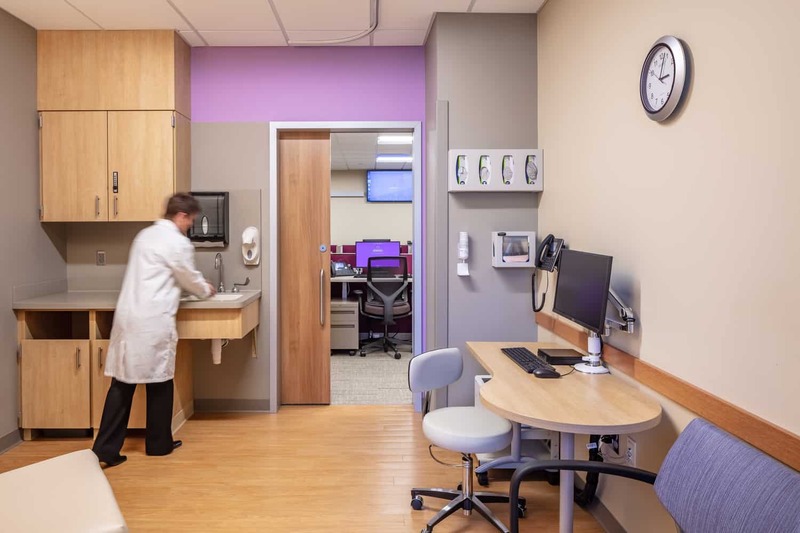 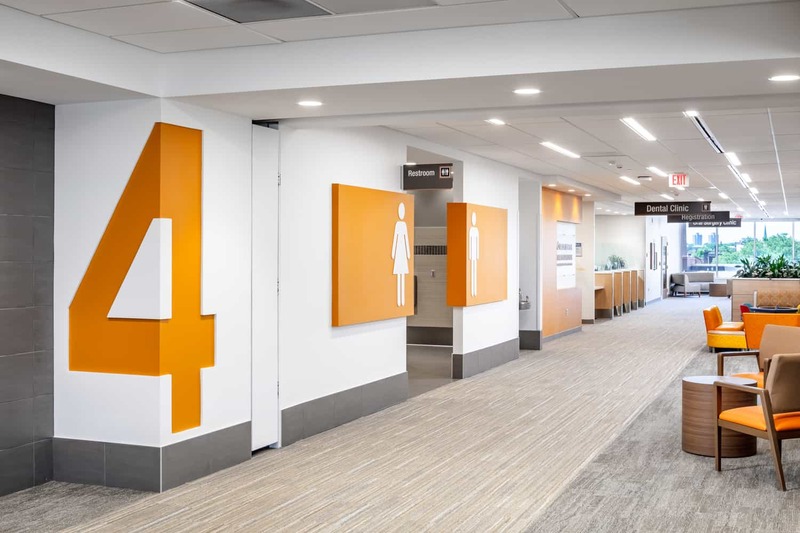 In the first phase of Health Campus 2030, a master campus plan that reorganizes nearly two million square feet to offer centralized and accessible care, Hennepin Healthcare opened the new Clinic & Specialty Center (CSC). 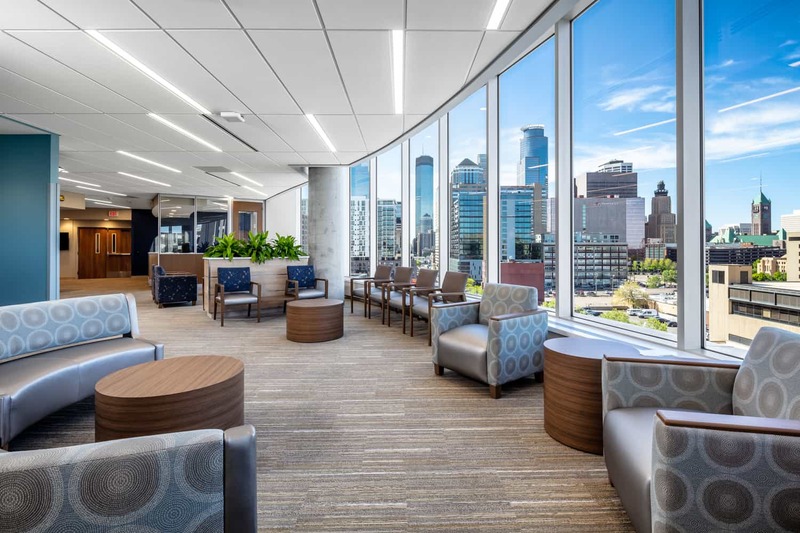 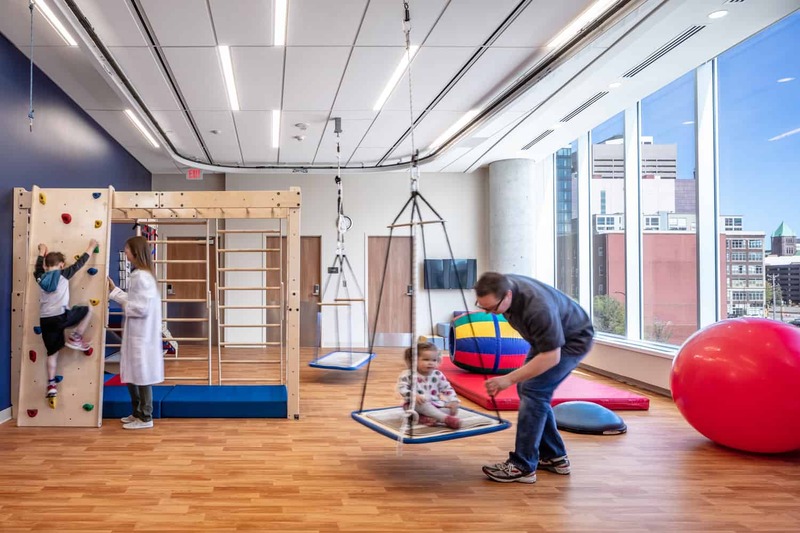 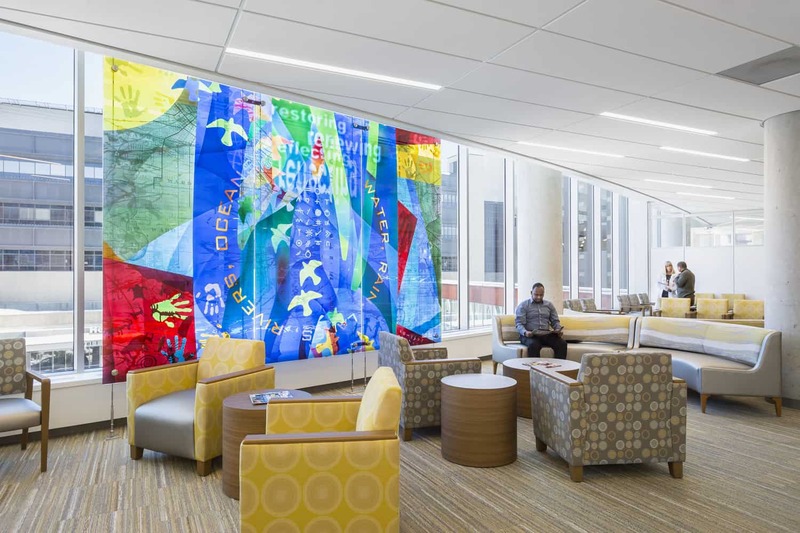 The 384,000-square-foot building consolidates 26 primary and specialty clinics previously spread across nine buildings, and marks the biggest expansion in the history of Minneapolis/Saint Paul’s largest teaching hospital. 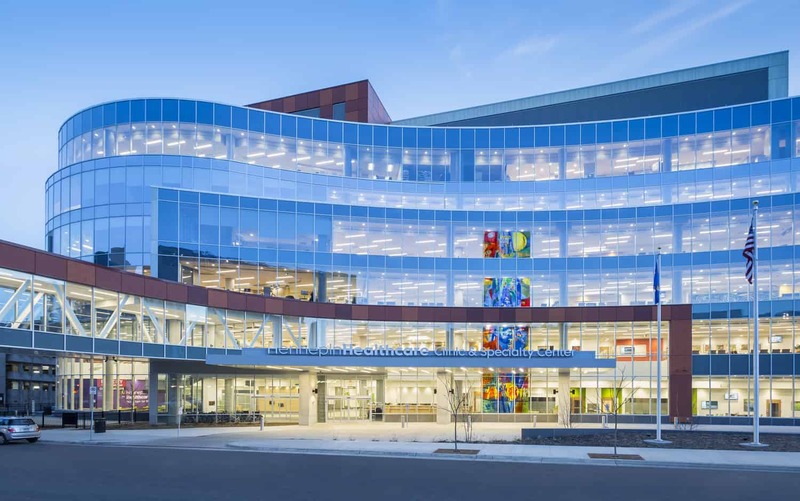 The CSC building includes six floors of clinics and services with two levels of underground pay parking for patients and visitors. 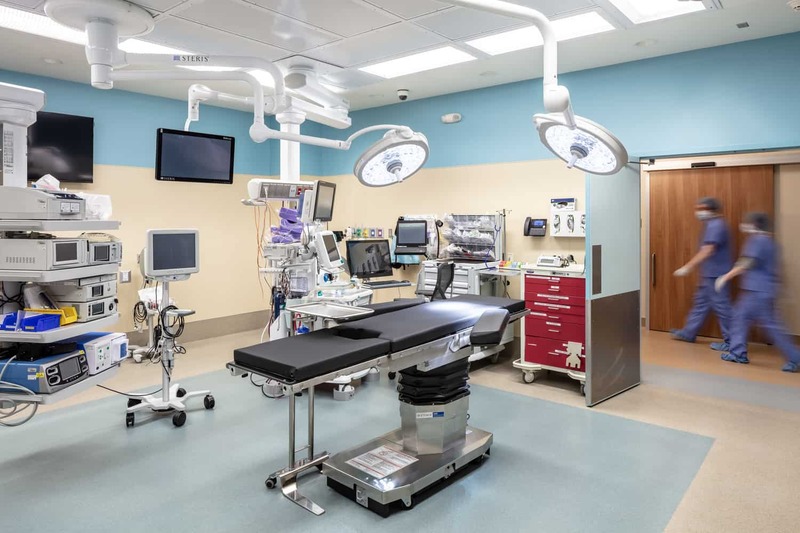 The building houses primary care, specialty care, dental clinic with 26 operatories, and physical and occupational therapy, as well as a same day surgery center with seven operating rooms and four GI/endoscopy rooms. 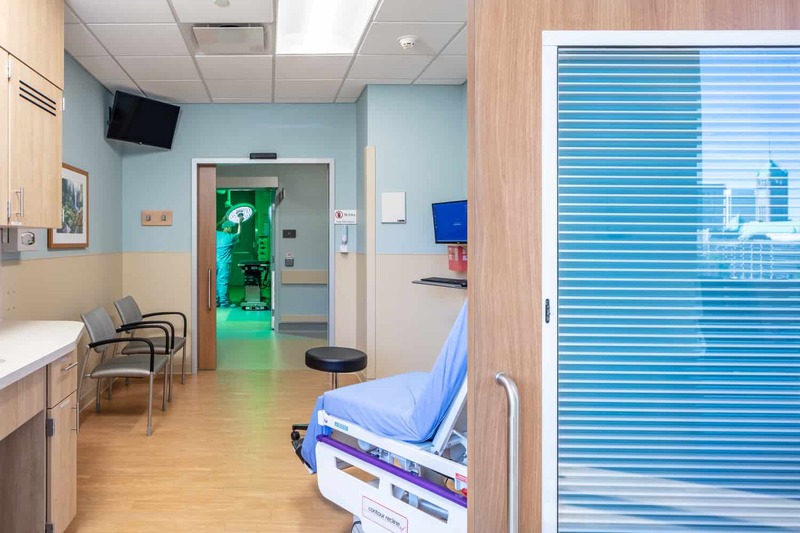 The clinic is also home to a comprehensive cancer center with radiation therapy, an outpatient imaging center, women’s imaging, and skyway and tunnel connections to the rest of the campus. 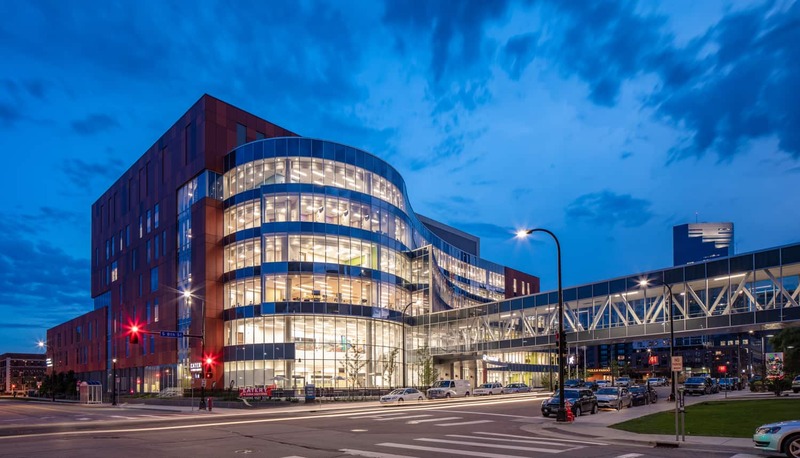 The CSC is next door to Minnesota’s first Level I Trauma Center, Minnesota’s largest emergency department and busiest trauma center. 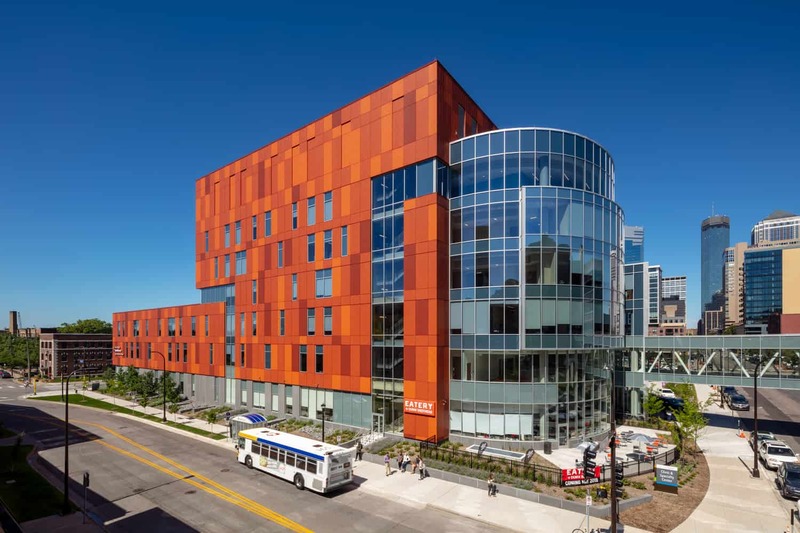 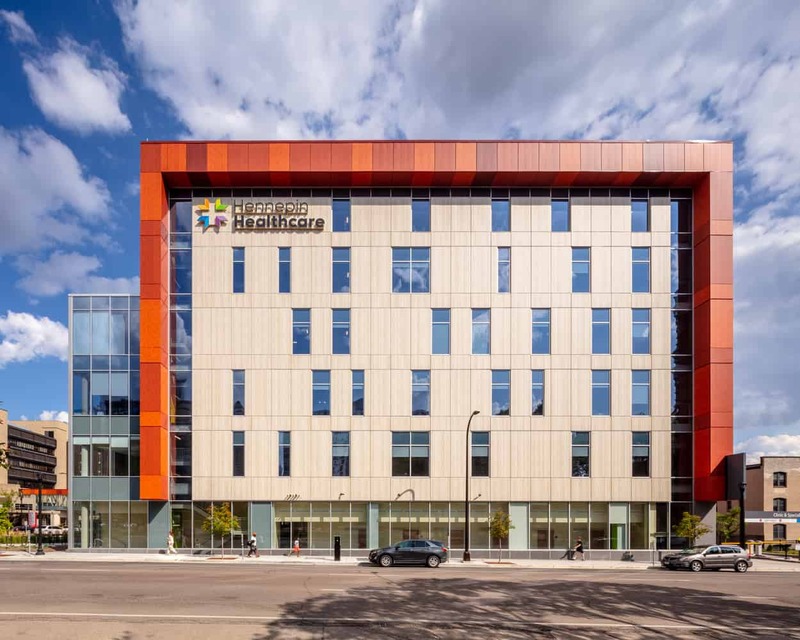 In addition to the new CSC facility, BWBR also designed a new, second helistop located on top of the building housing the Hennepin Healthcare emergency department, operating rooms, and intensive care units, directly across the street from where the CSC stands. 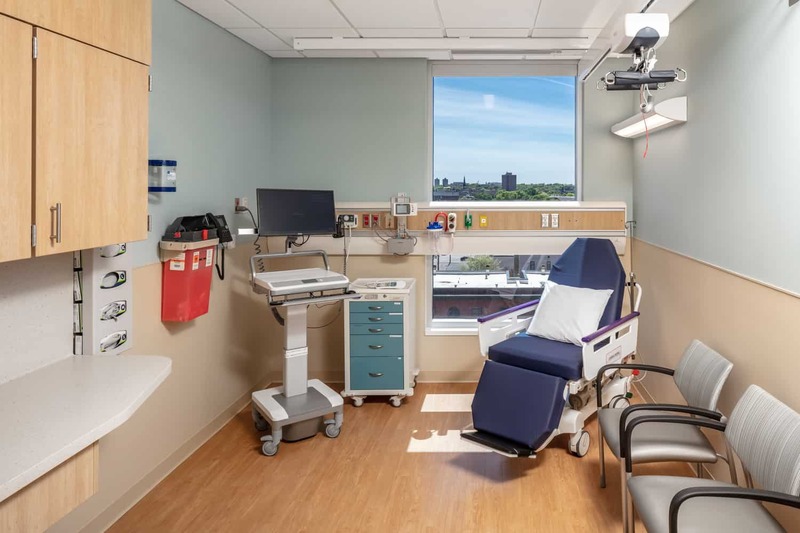 The new helistop doubles the capacity to receive trauma and critical care patients by air and reduces transport time into the hospital, greatly improving patient safety.